A nursing job can be in demand. Getting the job can be fairly difficult. You should be able to think of a few strategies to land the position. 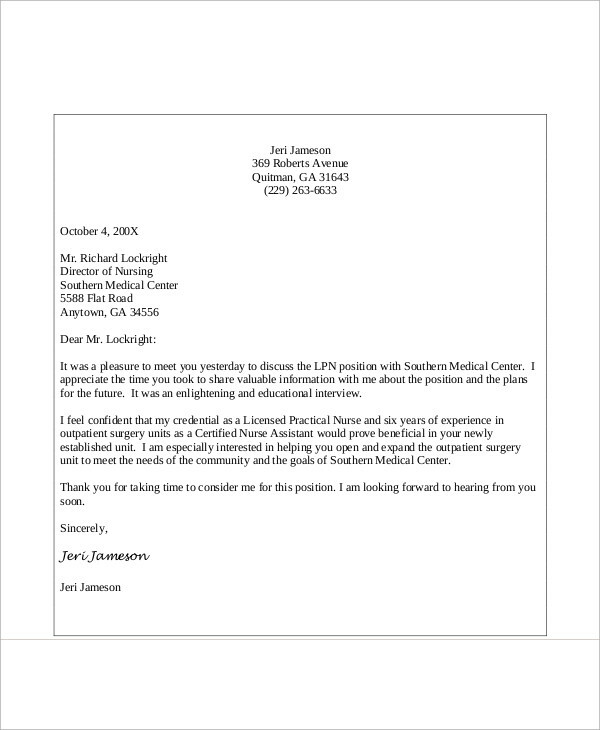 One way of increasing your chances of getting the job is by sending the hiring officer a thank-you letter after you have been interviewed. This shows great attitude because it gives the impression that you are highly interested in the job vacancy. It can also be an extra step to achieving your goals and targets. 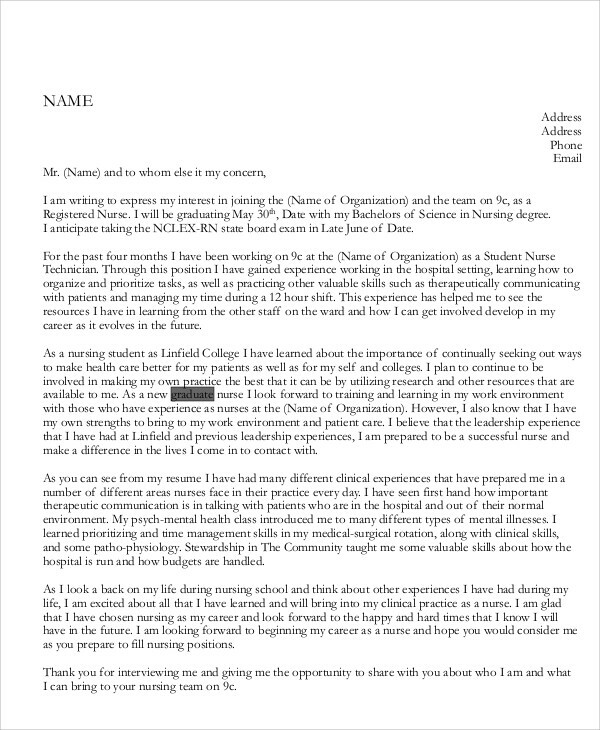 There are six Sample Letters catered for nurses. 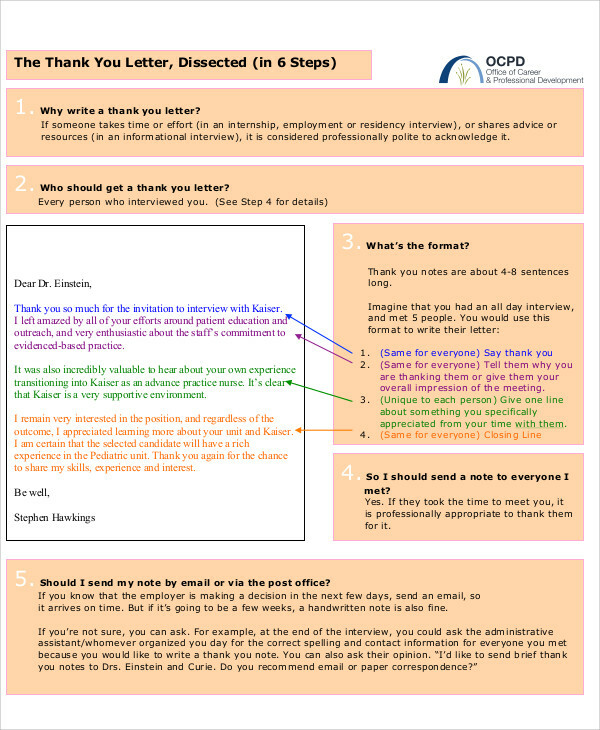 You can express your gratitude accordingly to the recruiter by referring to the sample templates in this article. 2. 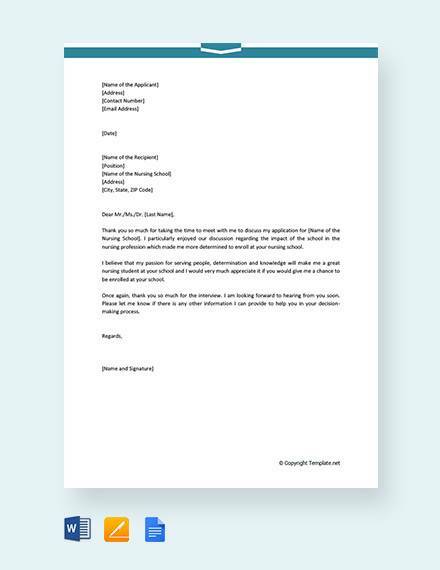 Send your thank-you letter within 24-hours after the interview. This can help the recruiter remember you better. 4. You must be straightforward with your thank-you letters. You must keep it brief, concise, and use simple language to make it easy to read and comprehend. 6. 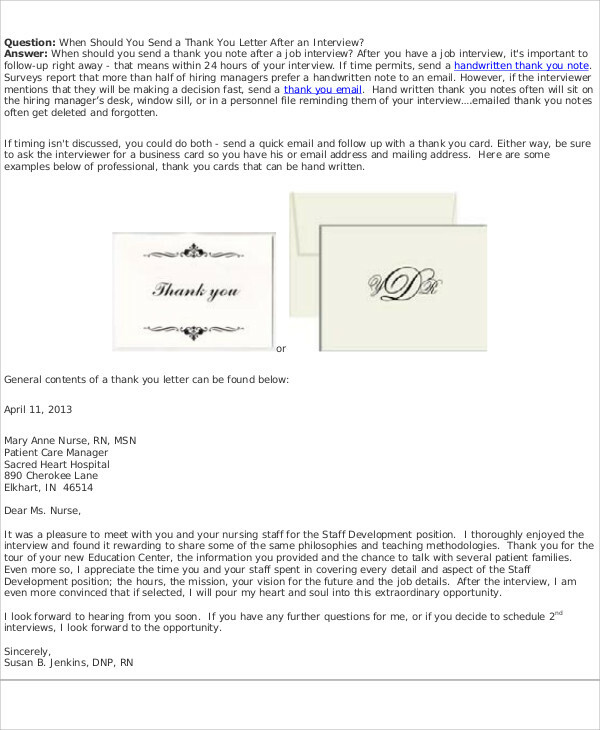 If there were multiple people who interviewed you, make sure to give each one of them a thank-you letter. You can also check out our thank you letters for interview so you can refer to more samples. 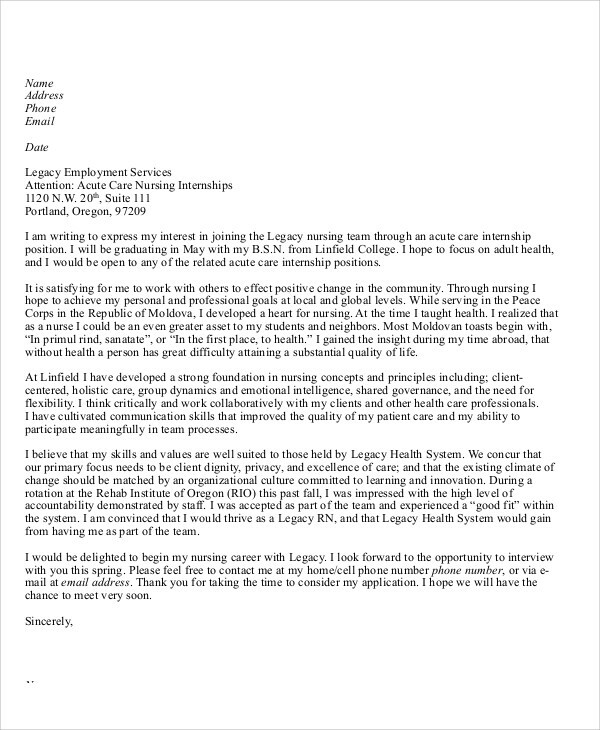 Why Write a Nursing Interview Thank-You Letter? 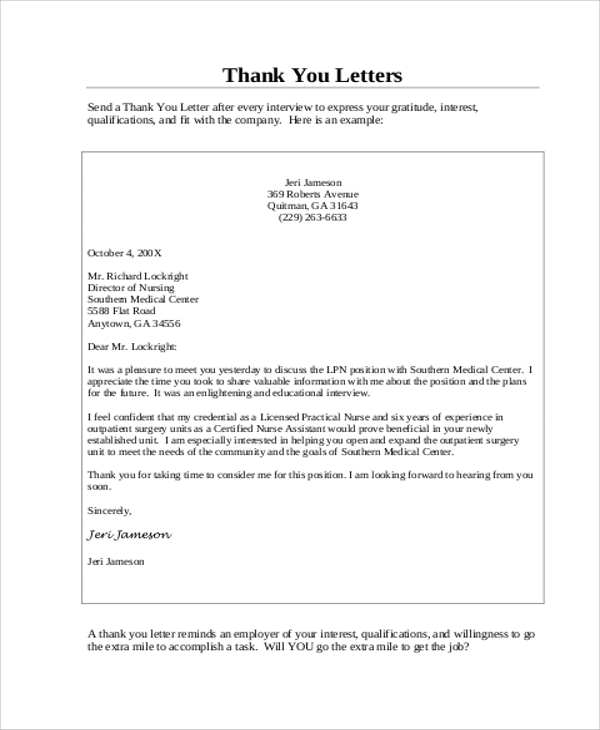 Whether you are a nurse who has just recently graduated, looking for an internship, or is looking to land his or her first job, you are sure to find a thank-you letter appropriate for your current situation. The templates we have presented in this article can help you reiterate all of your qualifications and write one that has a suitable layout and writing style. 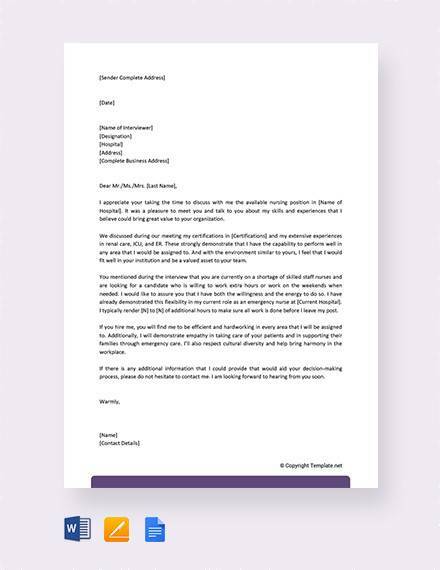 These samples can also give you an idea about how you can write your letters in a formal and professional manner without having to spend too much time. These are in PDF (.pdf) format, which makes it highly compatible and editable with multiple devices you may have. 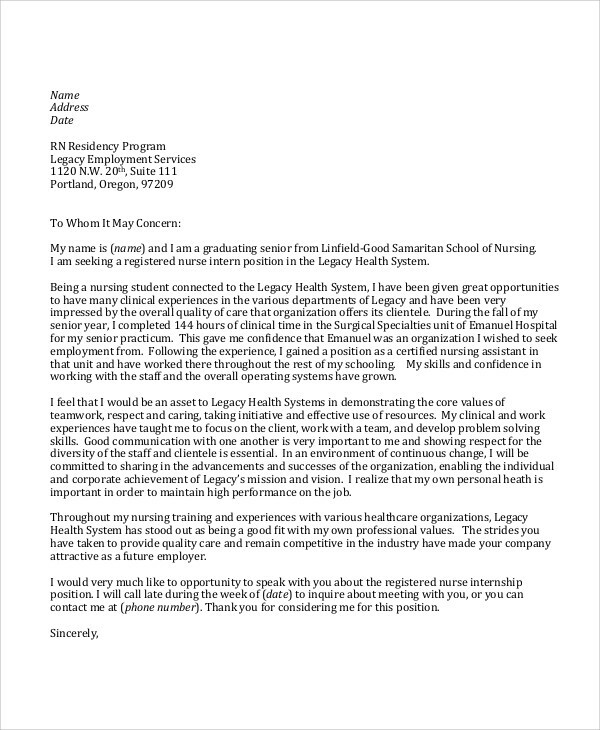 Landing that nursing job will not be that complicated with the help of these templates.You may also want to read Letters of Recommendation For Job.